654 E Thousand Oaks Blvd. Great service. Issues with my phone were explained to me. uBreakiFix Thousand Oaks is the #1 iPhone Repair Company. We offer the best prices, best service, and best warranty in the industry. We are located near The Oaks shopping plaza, the North Ranch Mall, and the Thousand Oaks Promenade. We specialize in Glass Repair, Glass and LCD Replacements, Water Damage Repair, Battery Replacement, Restores, Updates, Button Repair, Component Replacement, Frame Damage Repair, Cracked Phone Screens, Charge Port Replacements, and Speaker Replacements. There is no issue too big or too small for us to handle. Our technicians our professionally trained to tackle all of your electronics repair needs. We are open 7 days a week. Appointments are available, but not necessary. Our store is located off of Thousand Oaks Blvd in the Sun Plaza Shopping Center. We can repair anything with a power button, usually while you wait! 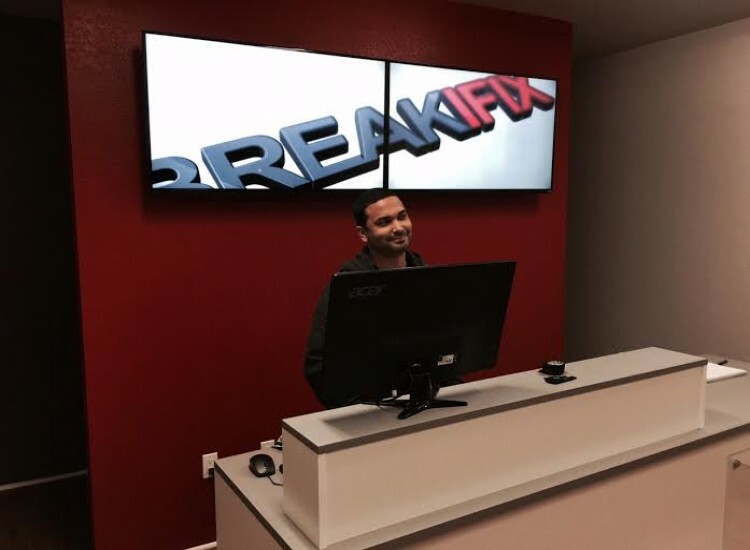 If you need iPhone Repair, Samsung Repair, iPad Repair, Computer Repair, XBOX Repair, Playstation Repair, Mac Repair, or any electronics repair, look no further than uBreakiFix!